All structurally focused interventions are designed to improve functional outcomes. A goal of normalizing the thoracic kyphosis and sagittal balance. A goal of normalizing the sagittal balance. 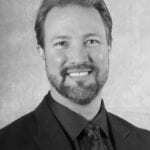 Dr. Jason Jaeger has practiced since 1999 and is the Administrative Director of Aliante Integrated Physical Medicine, one of Nevada and the countries leading integrated physical medicine practices. He is Board Certified in Nevada in CBP® and one of only 21 instructors for the CBP technique. He is also the developer of the Universal Tractioning System (UTS). Dr. Jaeger attended the University of Nevada, Las Vegas (UNLV) during his undergraduate program and graduate school at Southern California University of Health Sciences (SCUHS) and currently holds adjunct faculty positions at Southern California University of Health Sciences in Whittier, CA; Cleveland Chiropractic College in Kansas City, KS; Parker University in Dallas, TX; and Palmer Chiropractic University in Davenport, IA. He participated in a rotation through Cal State Northridge’s prestigious Physical Therapy program where he successfully integrated neuro-musculoskelatal therapies on paralysis and stroke victims. He is a past board member for the Nevada Chiropractic Association (NCA), and a past board member and founder of the Nevada Chiropractic Council (NCC) and has been deemed an expert by the courts in the State of Nevada. Dr. Jaeger was appointed by Governor Brian Sandoval to the Nevada Chiropractic Physician Board in 2015.